Mauri Salem was born in London, grew up in Spain, and has Arabic heritage. He has lived all over the world. Mauri speaks Spanish and English fluently and Italian and Arabic conversationally. He currently resides between Marbella, Spain and Bali. He loves to surf, travel and yoga. 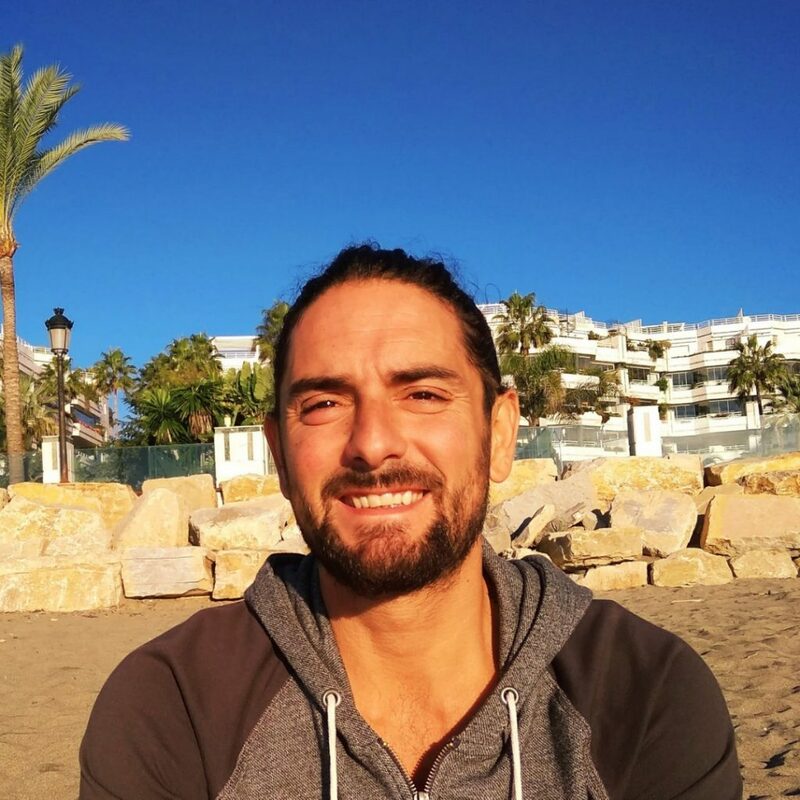 Mauri has worked for various international treatment facilities in the past as a recovery coach. He has a lot of experience in the field of drug addiction and alcoholism. His own personal experience is the most valuable asset when relating to those seeking a new way of life. He has taken many people through the Big Book and the 12 Step Recovery Process. At the age of 36, Mauri had a profound inner transformation which radically changed the course of his life. In the Indian Himalayan foothills of Rishikesh, he studied and practised Yoga and meditation, as-well as attending many daily satsangs, with world renowned spiritual teachers such as: Mooji, Sadguru, and Pujya Swami Chidanand Saraswatiji. He also spent time in Buddhist monasteries in Nepal, Sri Lanka and ashrams along his journey. He describes himself as being a guide to anyone who needs help rediscovering their inner light. Mauri is passionate advocate of 12 Step Philosophies and Spiritual Principles. His goal is to help as many people as he can find recovery and spread awareness, in order to live happy, healthy, conscious lives, free from the misery and pain of alcohol and drug dependency.